Mix all of the listed ingredients except for the Quest Bar. Pour the batter into two silicon cupcake molds to make two cupcakes. 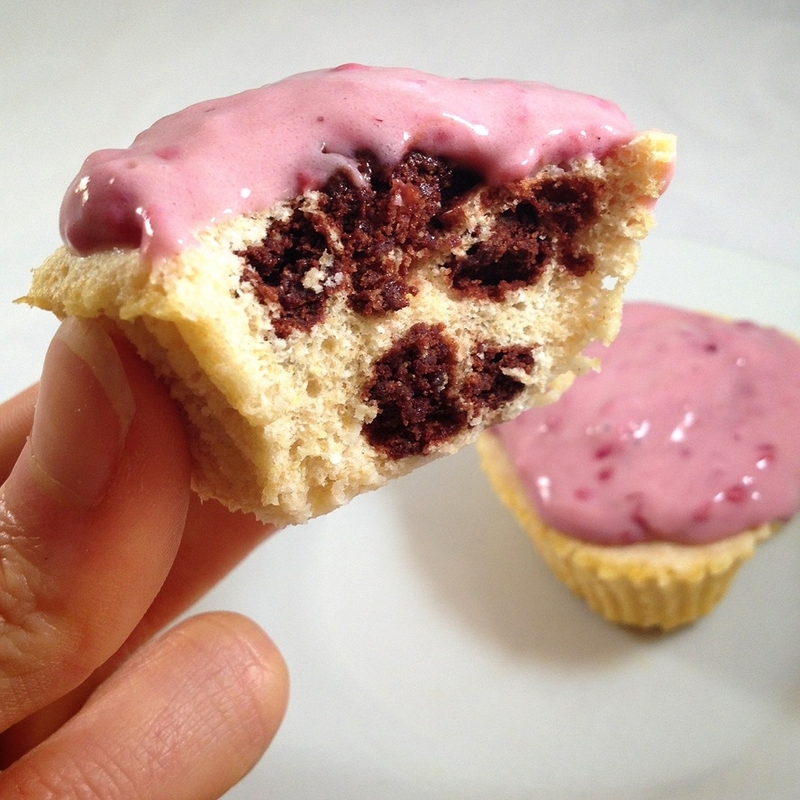 For the brownie center, break 1/2 chocolate brownie quest bar into pieces and distribute amongst the two cupcakes. Microwave for 1 minute!